Studies prove it. 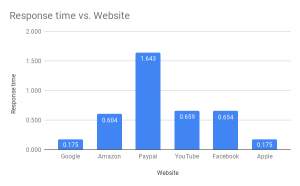 If an Internet user has to wait more than 3 seconds, they simply leave your website… and seeing as your competitor is often only a click away from you, that’s where they’re headed. Not exactly what you had in mind? Of course not, so what can you do about it? The first step is to measure the response time of your website. This post will tell you how to set up a simple indicator that lets you check whether your site is firing on all cylinders at any time. This indicator or KPI (Key Performance Indicator) revolves around the notion of response time, i.e. the time it takes for the page of your site to appear on your Internet user’s browser. 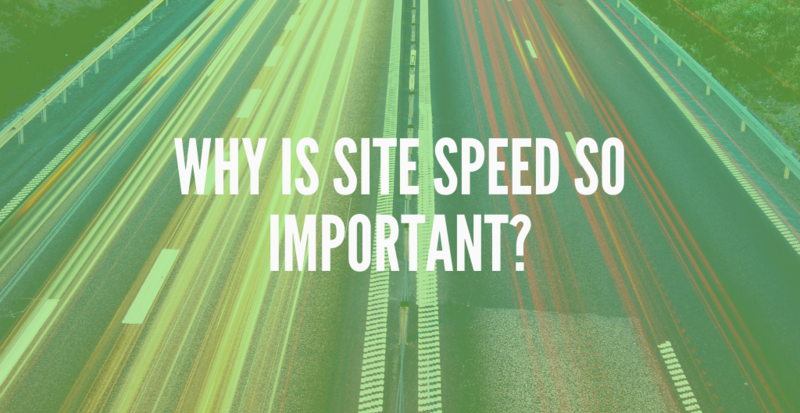 You can keep track of your website speed at all times. So remind me, how does a website work? What happens when an Internet user types an address (or URL) into a browser? A request is sent to a server whose address is known from the domain name. When the server receives this request, for example “give me the home page of the site!”, the latter prepares a response that is in fact a set of information (HTML code, style files, images, etc.). The server then sends everything back to the user’s browser. Ultimately, the browser receives this response and builds a page that appears in the browser and corresponds to the content requested by the user. In layman’s terms, response time is the length of time between the time the user requests the information and the time the information arrives in the browser. Why is a low response time critical? Today, it is estimated that, if this page does not arrive quickly enough, the Internet user and the mobile user in particular, will go elsewhere. And all that you can do is hope that “elsewhere” doesn’t take them straight to your competitor. In addition to losing customers or revenue, your website’s response time has a significant impact on SEO. It’s no secret that search engines index fast sites better than slow sites. As far back as 2010, Google announced: “Speed will be a major factor in the evolution of SEO in 2010″. What’s more, a slow website has an impact on the user’s perception. How to measure my website’s speed or response time? To find out exactly how fast your response time is, you can use internetVista which allows you to track your website’ speed in real time. As a key indicator, it means you can offer your customers a high-quality service. What is a good response time? You can also find the information in one of the availability studies conducted by internetVista.